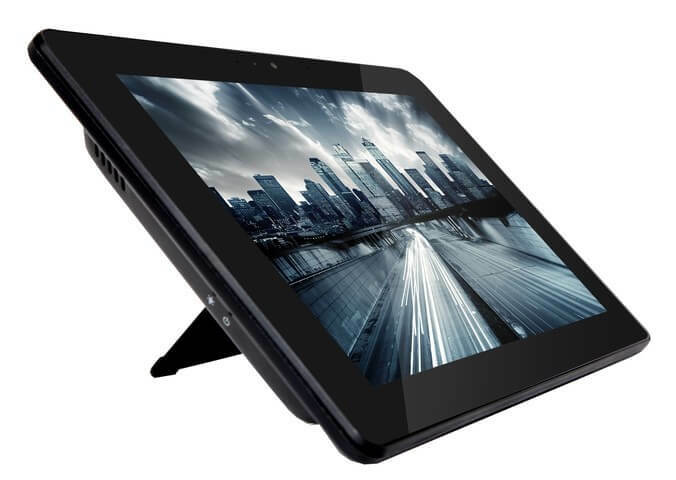 AOPEN has announced a new Chrome OS powered tablet, the Chromebase Mini. The 10.1″ tablet does indeed look like a mini Chromebase and is aimed at the enterprise and retail markets but with a price point consumers can afford. If you haven’t heard of AOPEN, they have been working with Chrome OS for a long time. Most of their work has been around digital signage that runs on the platform but they have also had commercial grade Chromebox devices for a while. The Chromebase Mini has a 10.1″ display that renders in 1280 x 800, has multi-touch support and is powered by a quad-core Cortex A17 processor running at 1.8GHz. It has 4GB of RAM and 16GB of storage build it along with a Full HD Webcam that shoots at 2MP. There is no official word on the price point of this new device but it is likely to be in the $300 range given its target market.